The heart of our system! This application hosts and displays your scoreboards and manages connections. What is the Desktop Application?! 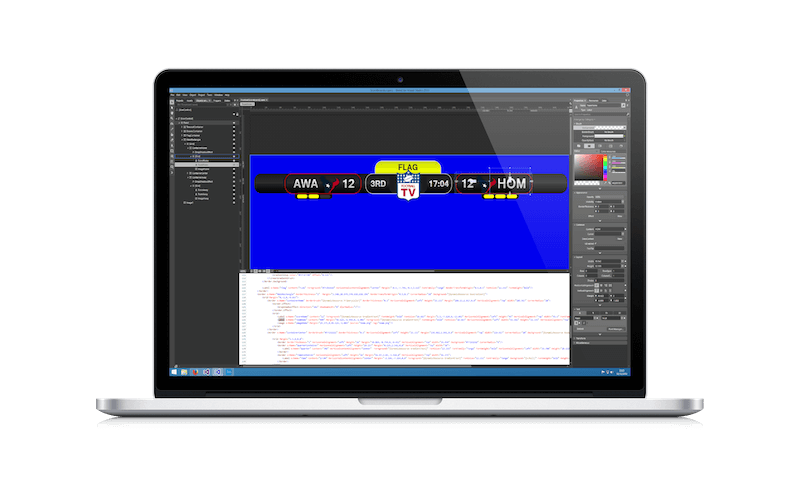 The Desktop Application is a Windows Software that serves as a host for your scoreboard and your remote clients. The main intent is to display a scoreboard that can be used in different types of streaming applications. You can either grab the screen and transfer it to your streaming application, or use the built in External Display module for hardware capturings. FTP Uploads and prepared Web Widgets help you to get realtime scoreboards on your website or anywhere on the internet. 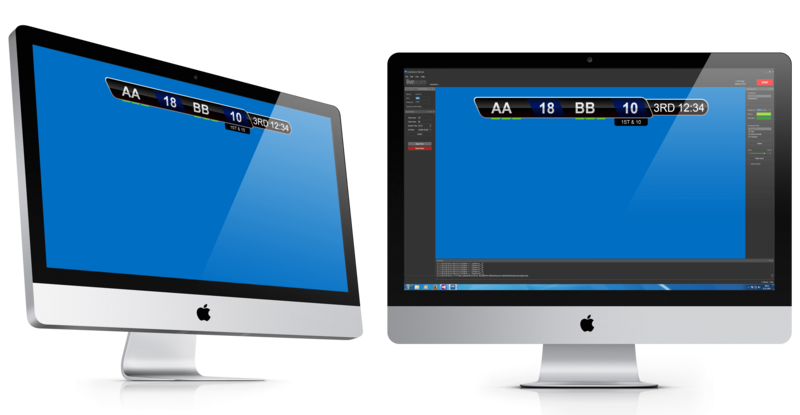 Provide amazing sports scoreboards for your TV stream, Web Widgets or more - all at the same time! 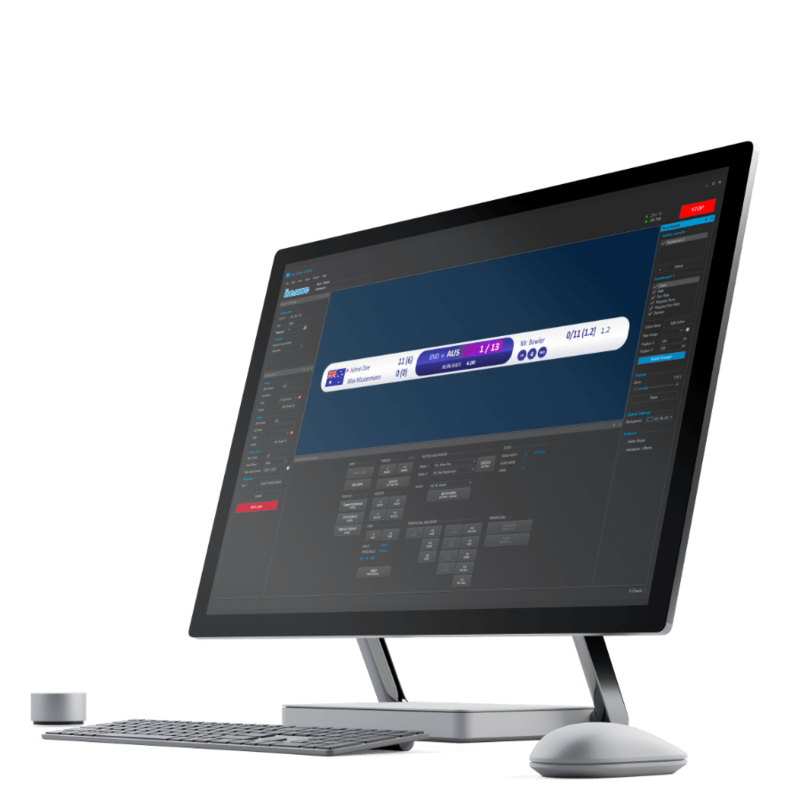 The desktop application is the heart of our system. This Windows software displays your scoreboard and manages remote clients. The Automatic Control Mode helps you with your scoreboard! Live Score updates the scoreboard depending on the current situation and step of your sport/game. It starts or stops the time, resets runners on base, and a lot more. It's less work for a better experience! Bring life to your scoreboard with animations! Enable animations and effects for certain events or create your own effects (Professional Edition). Fading transitions on scorings, moving animations on side changes - thanks to WPF Storyboards you can do almost anything! Every scoreboard can be styled the way you like it! Solid colors and even gradients can be assigned as primary and/or secondary colors, away and home colors, text colors and anything you need to present your very own and unique sports scoreboard. Create and build your very own customized scoreboards. Amaze your fans with stunning and team specific layouts. 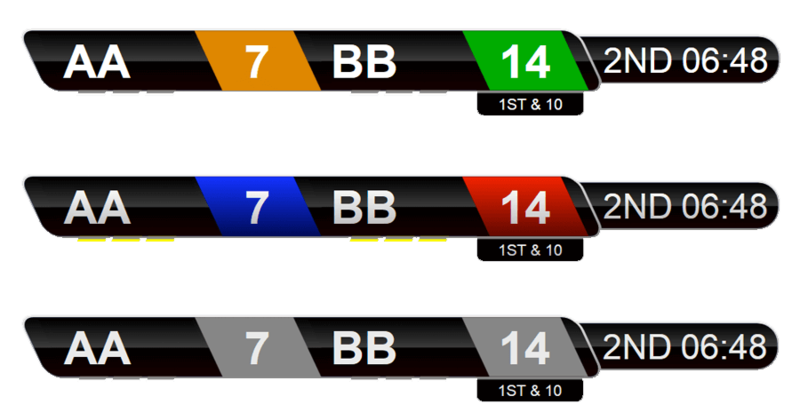 With Live Score and XAML it's an ease to create sports scoreboards. There are almost no limitations, so start right now and get the most out of your scoreboard. The built-in sport controls are the perfect companion if want to have a secure control layout, that is not bound to a local network, or if you don't have an iOS device. This type of control triggers all actions directly within your application and makes sure that no wireless interference prevent you from using your scoreboard. Our built-in controls can be operated alone or in combination with your iOS Remote Controls. Keep your score bug in sync with your Daktronics System. Live Score 1.6.5 and above includes the brand new Daktronics Automatic Data Feed Integration. 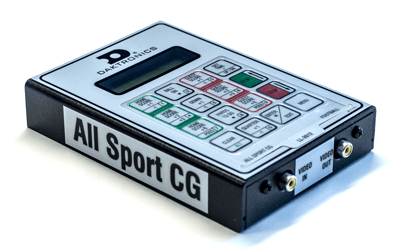 Connect your Daktronics All Sport CG hardware and let it automatically update your score bug. 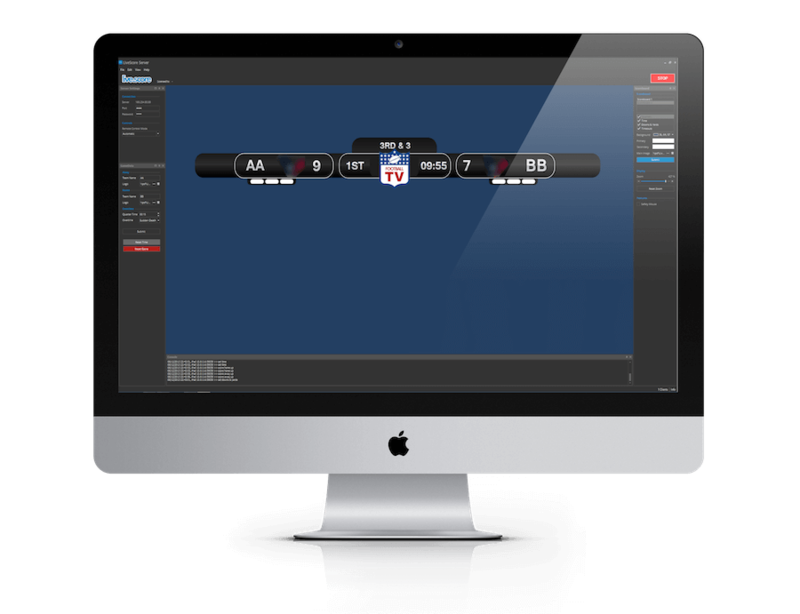 Use your StatCrew software as an automatic input source for Live Score. Live Score integrates with your StatCrew software. It reads your export file and updates your scoreboard data automatically. So you don't have to do anything for general scoreboard data - it just works. 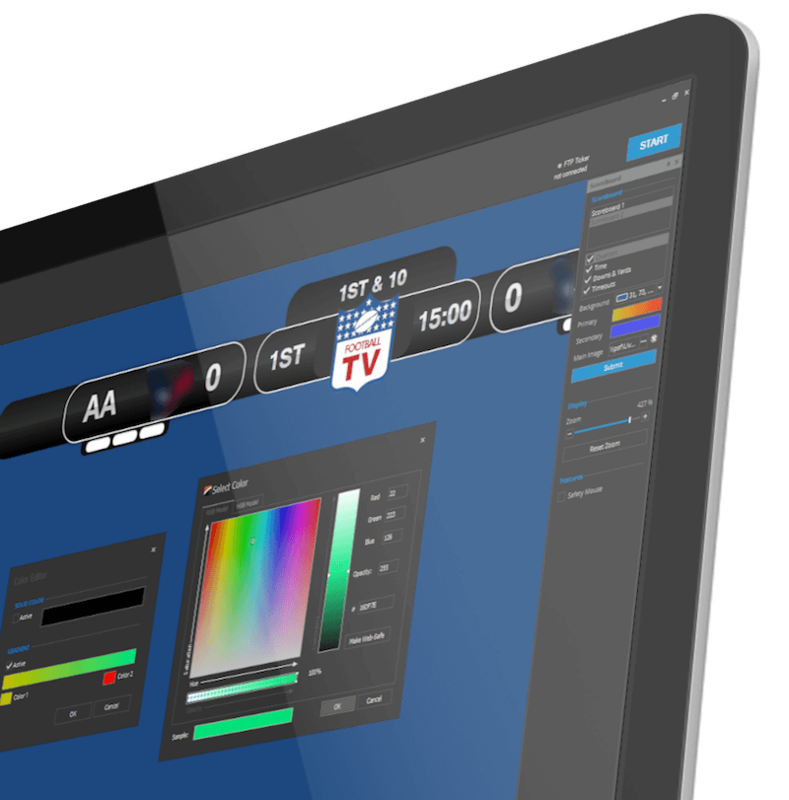 Use hardware to capture and embed high-definition scoreboards directly from Live Score! The External Display module gives you the opportunity to directly capture your scoreboard and use it in your hardware setup without the need of any other software. A unique real time experience for your website users. 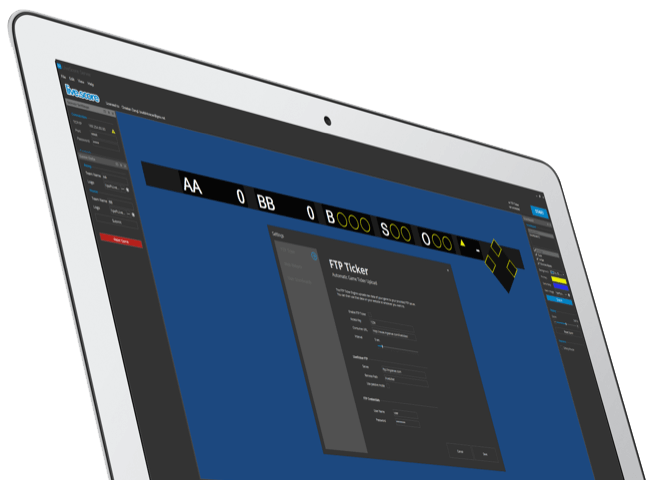 Create a unique live experience with our drop-in Web Widgets and provide real time scoreboards even on your team website. These widgets can be integrated on any website, and yes, feel free to customize them for your sport. Upload RAW data to your web server and use it just the way you want to! If enabled, the Desktop Application uploads raw XML data of your game to your web server. Use this data to extend your scoreboard experience in any possible way, or simply use one of our drop-in Web Widgets. You can also secure the XML data and avoid access from other people. Want to try our Professional Edition?! Just contact us and request your trial!